Along with our new website, we’re changing some of the ways we communicate with you, our valued community of supporters. We are excited to bring to you the first of our redesigned newsletters! We will start by sending these newsletters once, during the beginning of each month. However, we want to open up the conversation with you, and we need your help. After reviewing the March 2015 Newsletter, please take a moment to complete a short survey! These newsletters are for you – tell us what you want to see! 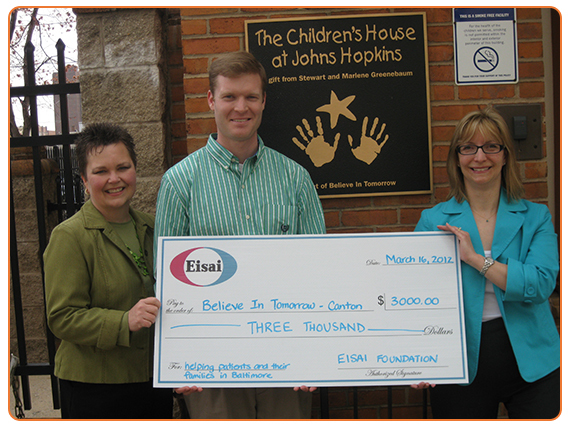 Inspired by their corporate human health care (hhc) mission to give first thought to patients and families, employees of Eisai Inc. volunteer with the Believe In Tomorrow Children’s Foundation to make a difference in the Baltimore community. Eisai Inc., the U.S.-based subsidiary of Japanese pharmaceutical company, Eisai Co., Ltd., has long believed in the principle that patients and their families come first and the best way to understand their needs and experiences is to socialize with patients to “breathe the same air.” This philosophy, called human health care (hhc), is something the company encourages all employees to practice in their daily work. With this in mind, the company’s Baltimore-based employees sought out local opportunities to interact with patients. Led by Tammy Stickland, senior manager of procurement, Eisai connected with the Believe In Tomorrow Children’s Foundation and explored ways to support the Foundation’s work. The Believe In Tomorrow Children’s Foundation is a non-profit organization that provides hospital and respite housing to critically ill children and their families. Having pioneered the concept of pediatric respite housing, the organization continues to be recognized as a national leader in offering these services to patients. To Read More. Just one month, three weeks, and three days until one of Baltimore’s best running races! Run or walk, individually or as part of a team, and set a fundraising goal for yourself to get awesome prizes. The competition is fierce this year! Visit the Port to Fort website using the link below for details and to see the latest results from our top fundraisers! Learn More. 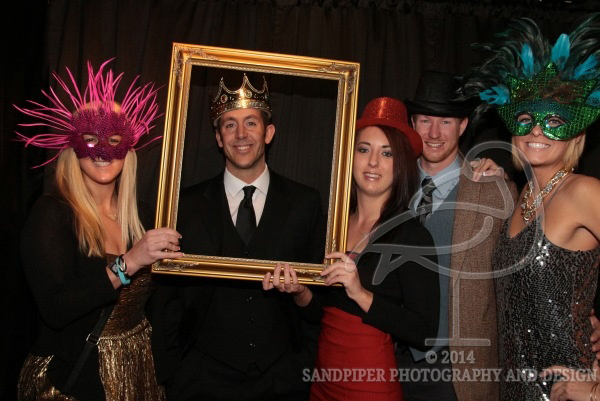 Our supporters in Ocean City, MD, raised an astounding $87,000 at our 2nd Annual Prom Night event. 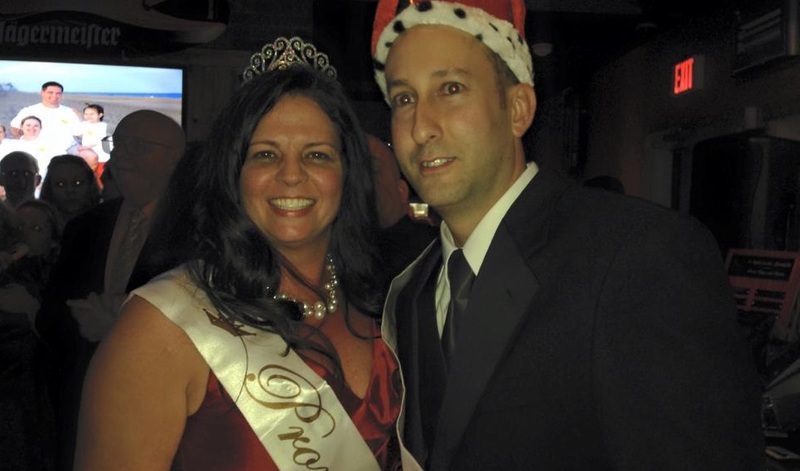 Congrats to Prom King and Queen, Jackie Siejack and Jason Gulshen! Contract Carpet Solutions Inc. has been a loyal supporter, donating carpet for numerous Believe In Tomorrow homes over the years. They recently contributed and installed over 2,000 sq. feet at the House at St. Casimir – all in one day! What better way to increase the exposure of your company’s name and brand than by sponsoring a Believe In Tomorrow event or project? Get involved in our 33rd Annual Benefit & Auction (3/19) or the 19th Annual Port to Fort 6k Race (4/25). Learn More. Lend a hand at some of our biggest events coming up in March and April. We’re also always looking to add more great volunteers to the team that supports our log cabin respite home in Deep Creek, MD. Click below to learn how to join us! Learn More. Want to receive our monthly newsletter? Click here to sign up.